Turns out, a salad isn’t always the healthiest choice. At 680 calories, this salad is definitely not a lower-calorie option. 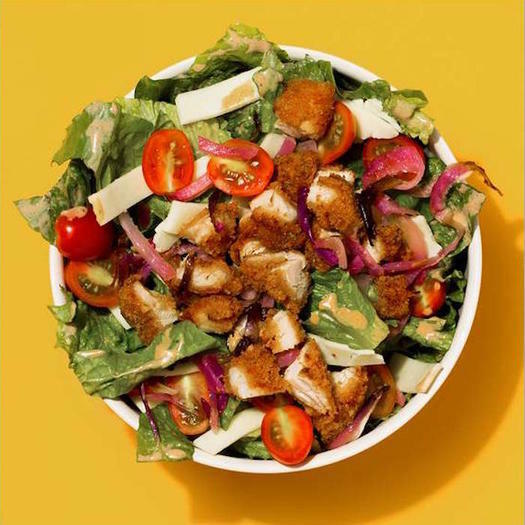 “This salad comes with panko fried chicken,” points out Alix Turoff, a registered dietitian and certified personal trainer. “If you swap it for grilled chicken, you can save 230 calories and 21 grams of carbs. You’ll also be getting 8 grams more protein.” That seems like a brainier. Panera allows you to personalize your salad, so the nutrition information will update based on those choices,” says Turoff. Pretty nifty. “Ditch the corn tortilla strips and you’ll save 170 calories, 10 grams of fat, and 18 grams of carbs,” she suggests. “The dressing on this salad alone contains 370 calories,” says Turoff. 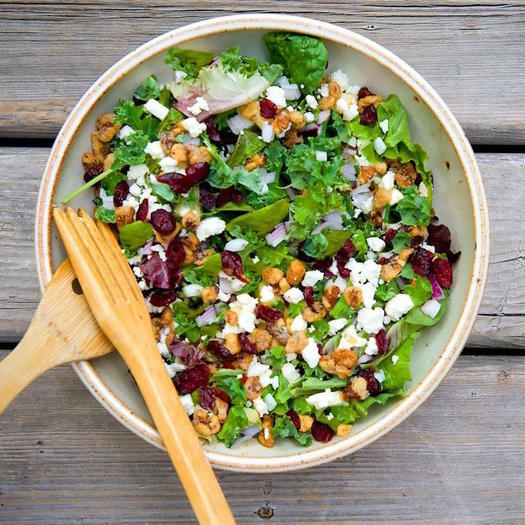 “Instead, choose a lighter dressing (like the Avocado Green Goddess Dressing for 60 calories).” Dried cranberries are also super sugary, so Turoff recommends adding in fresh apples, grapes, or mandarin oranges for a hint of sweetness without so much sugar. It’s not so much that this salad is bad, but more so that there are better options on the menu if you’re paying attention to your nutrition, says Turoff. “Skip the salad completely at Au Bon Pain, and go with the chicken, vegetable, or lentil soup, and pair it with one of their ‘to-go’ snacks.” Fruit, eggs, and nuts snack are all options as well as fruit and yogurt cups. This salad adds up to 510 calories, plus extra for dressing. While that’s not so bad, there are definitely better options on the Just Salad menu if you’re looking for something more health-conscious. 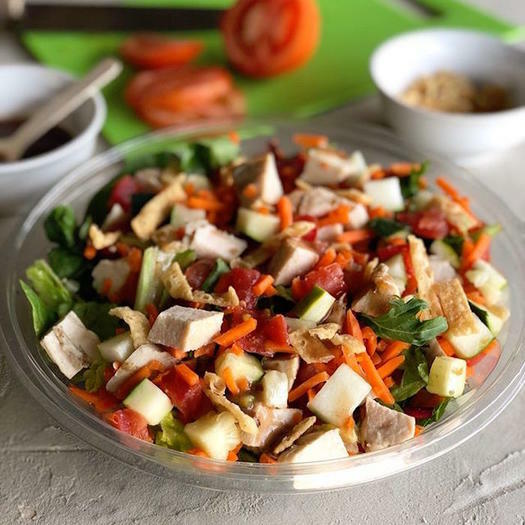 Deborah Malkoff-Cohen, a registered dietitian, recommends checking out the Thai Chicken Crunch (with a half portion of crunchy noodles) or the California salad as alternatives. Truth be told, Malkoff-Cohen is impressed by McDonalds’ nutrition transparency. “It’s cool of McDonald’s to let you see the ingredients of the salad and cater it individually by adding or deleting ingredients,” she says. As is, this salad comes out to 520 calories with 25 grams of fat, 46 grams of carbs, and 28 grams of protein. But by leaving out the chili lime tortilla strips and getting the dressing on the side, you can save about 100 calories. 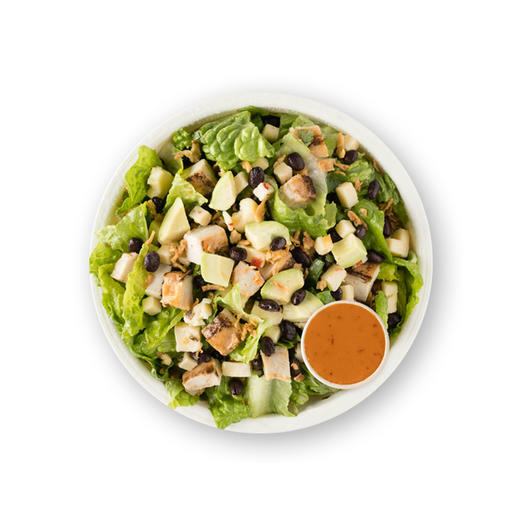 You could also opt for the fast food restaurant’s Southwest Grilled Chicken Salad, which is just 350 calories with 37 grams of protein. Not too shabby. 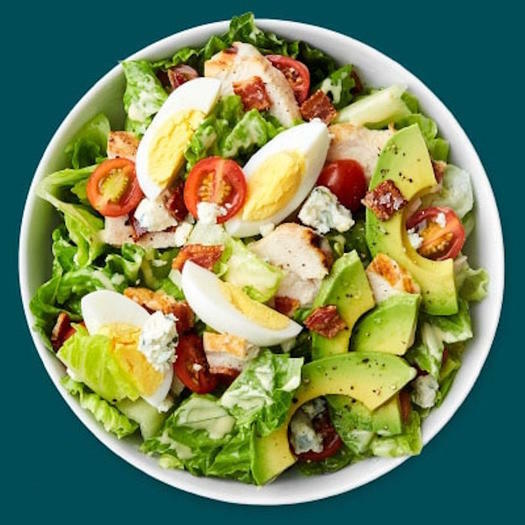 Clocking in at 670 calories and 41 grams of fat, Chopt’s Classic Cobb salad isn’t exactly light. “Here’s another example of multiple sources of fat in one salad,” says Turoff. “Here we have the avocado, bacon, egg, and blue cheese which are all sources of fat. You could swap the egg out for egg whites and save 6 grams of fat and 60 calories. 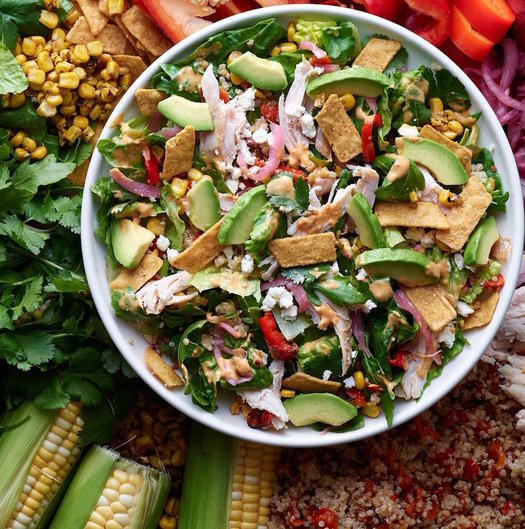 Don’t get us wrong, if you’re going to grab a salad for lunch, Sweetgreen is one of the healthiest places to do it. But where most people run into trouble? The dressing. In other words, go light on the dressing if you don’t want to diminish all the healthy choices you made with the other salad ingredients. 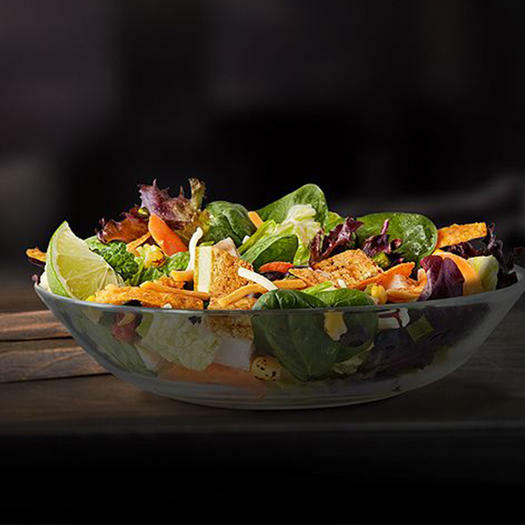 Be the first to comment on "The Unhealthiest Salads at Your Favorite Lunch Spots"